A four-week long practical Training of Trainers (ToTs) course involving twelve (12) medical laboratory experts from the EAC Partner States’ National Public Health Reference Laboratories (NPHLs), concluded on October 26, 2018 at the Bernard Notch Institute for Tropical Medicine (BNITM) Headquarters in Hamburg, Germany. 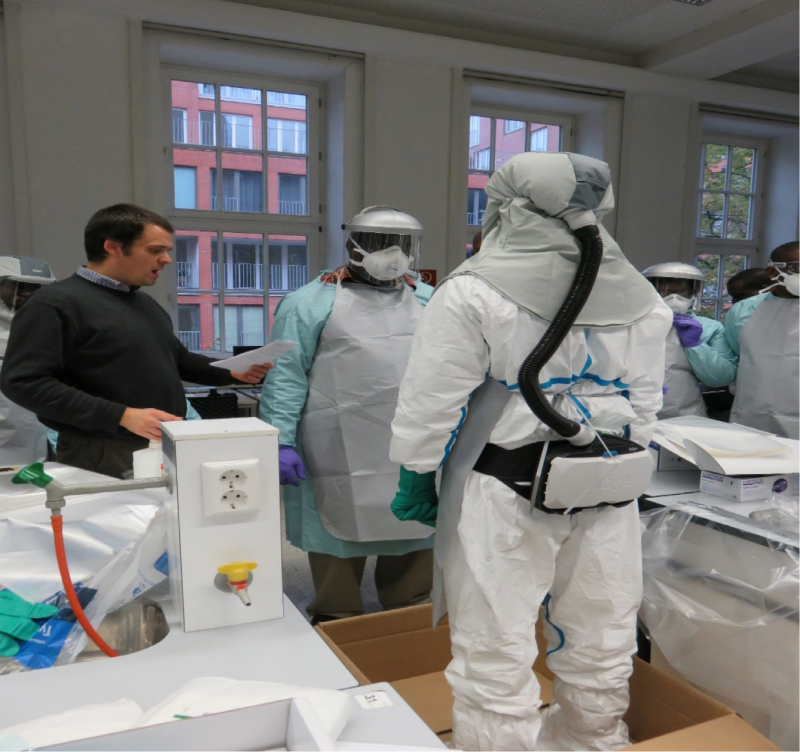 The training started on October 1, 2018 and focused on the assembly, operation, use and field deployment of the nine High Technology EAC Mobile Medical Laboratory equipment, reagents and supplies for the early detection and diagnosis of various highly infections biological agents such as the various Viral Haemorrhagic Fevers (VHFs), namely: Ebola, Marburg, Crimean-Congo Fever, Yellow Fever, among others which are endemic in East and Central Africa. Currently, the EAC with technical and financial support from Germany through the Federal Ministry of Economic Cooperation and Development (BMZ), the German Development Bank (KfW) and the Bernard Notch Institute for Tropical Medicine (BNITM) is implementing “East African Community Regional Network of Mobile Medical Reference Laboratories for Communicable Diseases Project.” In 2016, Germany committed an initial three-year funding of Euro 10 Million for the project. Negotiations are currently underway for additional funding of Euro 13 Million for the year 2020 and beyond. The main objective of the EAC Mobile Medical Laboratories Project is to strengthen capacities in all six EAC Partner States to respond to pathogens of biosafety level 3 and 4 nature and other outbreaks of highly infectious diseases that are prone to cause cross-border epidemics by rapid mobile diagnostic capacities that enable timely interventions through joint collaboration, linkages and cross-border networking among the National Public Health Reference Laboratories (NPHLs) in each of the EAC countries. The participating NPHLs in the Partner States are: Institut National de Santé Publique (INSP), Burundi; National Public Health Laboratory Services, Kenya; National Reference Laboratory (NRL), Rwanda; Public Health Laboratory and National Blood Transfusion Centre, South Sudan; National Health Laboratory Quality Assurance and Training Centre (NHLQATC), Tanzania and Central Public Health Laboratories (CPHL), Uganda. In addition, the EAC Mobile Laboratories Project has broad actions that include the training of various health and medical laboratory technical experts on the early detection and diagnosis of highly infectious pathogens and exchange of knowledge among Partner States at regional, national and sub-national levels, including joint disease outbreak investigations and response in cross-border areas.